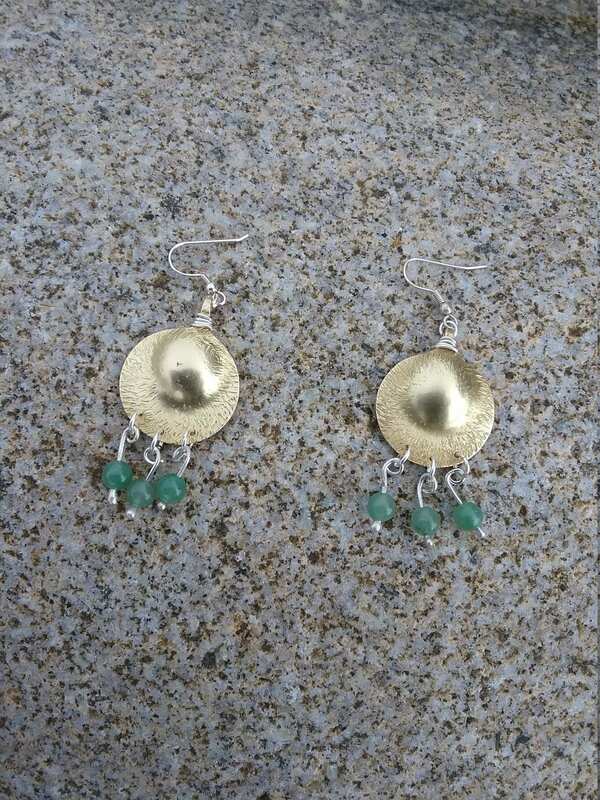 These L A Style Golden Brass Earrings with Silver and Aventurine stones were inspired by another designers work from Los Angeles. I'm putting a Connemara angle on a California style. 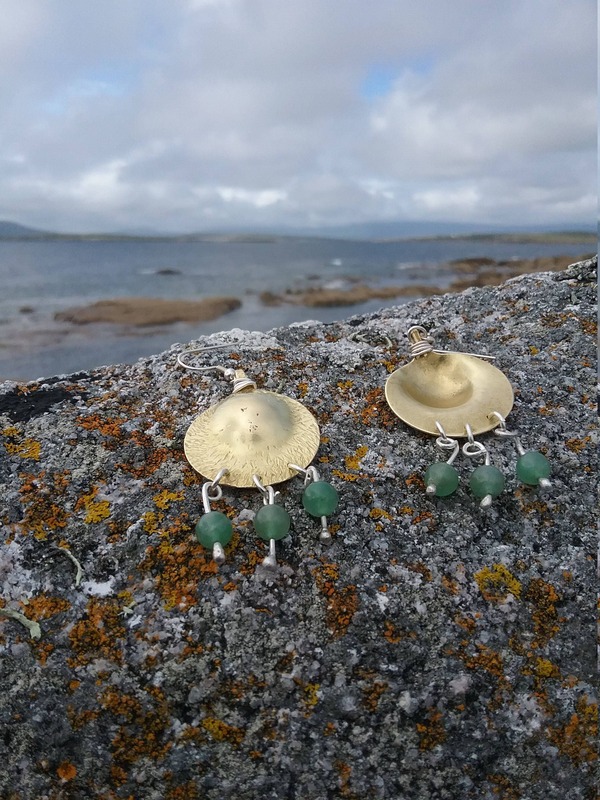 These handmade earrings also have an old world feel about them with a mixture of African, Tibetian and Indian Design all mixed together at our Studio here in Connemara, Ireland. 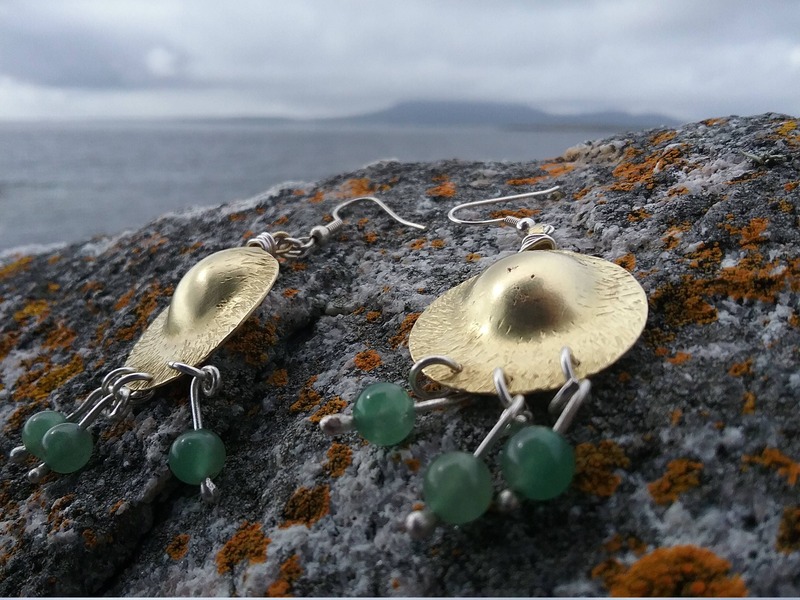 I've added Sterling Silver to the earrings and the ear pieces are made in Sterling Silver. Aventurine is associated with healing properties most notably the lungs, liver, sinuses and heart. Your Earrings will arrive packaged in a cardboard box with a hand drawn Ogham Drawing by Ruairí himself making it a special keepsake. Ruairí will add your initials in Ogham writing if you desire at no charge. 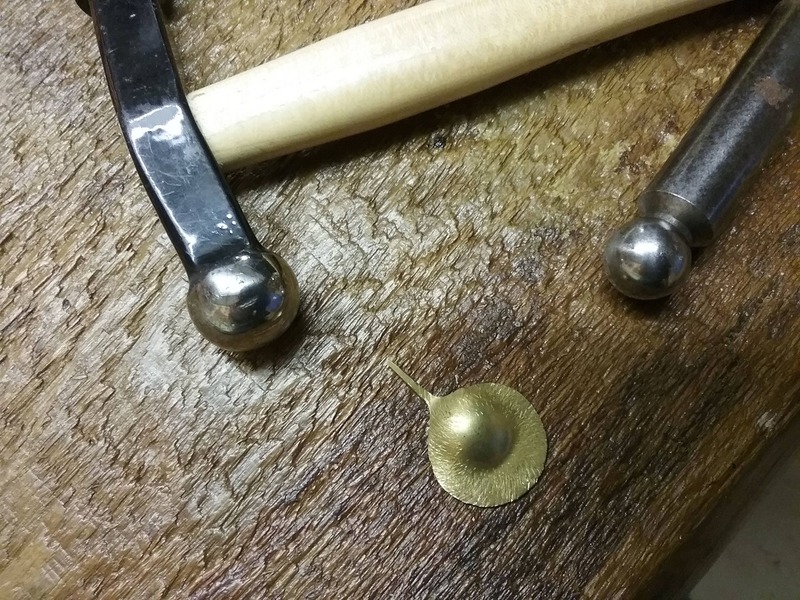 For your security and peace of mind your Earrings will be shipped by Registered Mail with Track and Trace enabled so you can track your Earrings once they leave our Studio.